Did you know that if you slice rings from an onion – red onions are especially good for this – and submerge them in a nice icy bath for maybe 10 – 15 minutes, they will have crisped up beautifully and lost the bite and bit of harshness they have when eaten raw? (Drain them and dry with paper towels.) This works especially well when combining in a salad. I highly recommend it! By the way, I gathered up all the onion tips others so generously shared and dropped them into the “spreenkles” page above. Sometimes when I go missing for a few days from here it’s because I had a plan…that plan began with a recipe, or merely a shopping list of ingredients…I proceeded to preparations and photos along the way…the final, loving attention given to the dish’s culmination…and then I move on to the part with the fork. Sometimes I’ve even started the writing before I’ve raised my fork. And then I make a disappointing discovery at the table. It tastes fine — and fine just isn’t good enough to share with the lovely likes of you. And so I move on to another plan and go through a similar process, sometimes even trying to refine before finally giving up, cutting losses and moving on once again. I may still come back to it later. But you only read about the success stories around here. I want to be sure you know though, just in the interest of full disclosure, that there are, at times, rather pathetic flops or meals just fine. So if you don’t hear from me for days, presume that I’m going through another one of those stretches. I like to play with food, as many of us do, and sometimes messes just happen. But this time, it could be several days before you hear from me because family’s coming, and my arms and my heart will be fully occupied. And there just may be a few happy tears. Onions or no onions. Have a colorful & fun weekend! p.s. I know JUST what I’m posting next and I think you’re going to LOVE it! I already used my fork on it! I must be getting old because my body revolts when I eat raw onions and have to pre-cook or cook them in order to eat them. Thanks for the tips! I’d love to know if you try the ice-bath trick. It works for me! “Spreenkle” just never gets old. (chuckle, chuckle). I’ve got a practically full baking dish in my fridge right now that will be going to the trash later today. Described as mildly spicy, this was a dish o’ fire and, after the way I reacted to it the first time, I’m afraid to go back to that well again. But I didn’t have any tulips — nor aloe — to soothe my burning palate. I must remember to purchase some the next time I get adventurous. Aw thanks Chica, and I couldn’t agree more about family. Have gobs of fun with your family! Yummy tulips! A flower I do adore. Set your lurking suspicions free, Kathryn! 😉 but thank you, all the same! Enjoy your time with your family Spree… and I’m sure any food you make is more than just fine. Loved reading your answers – I’d missed them somehow first time around. And yes, aren’t tulips simply deliciously amazing? 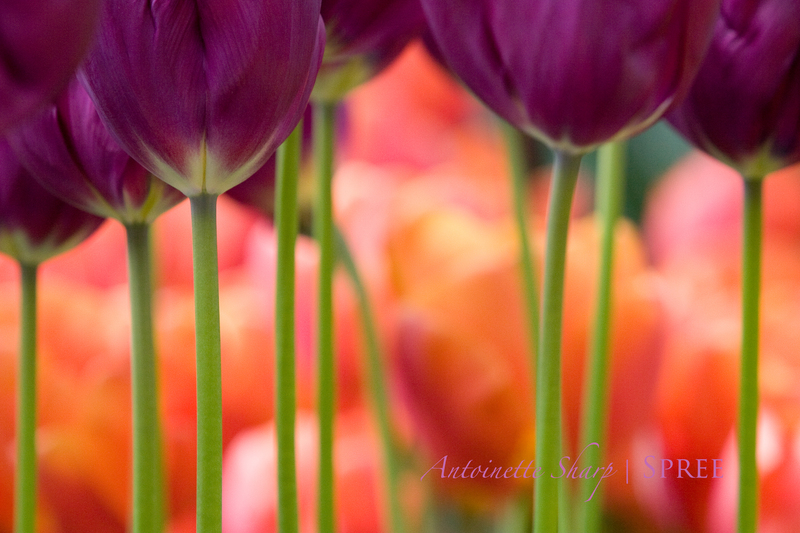 Oh… Those scrumptious, fabulous, gorgeous eye candylicious tulips! You have given me my favorite treat for the night with them and so far I have read over 60 blog posts tonight! Well am I ever happy to have done that for you! 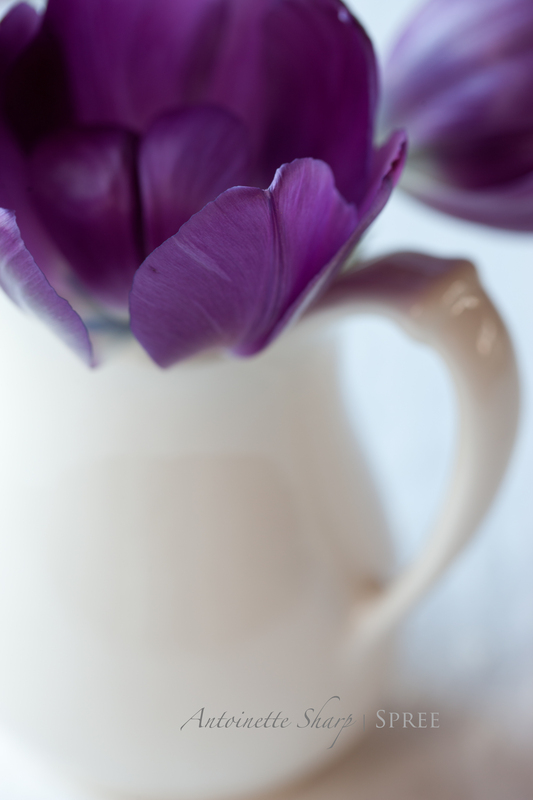 I just find tulips quite irresistible!